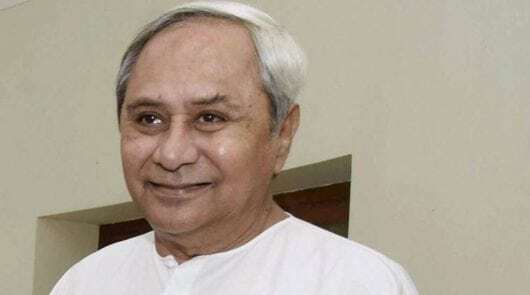 With Chief Minister Naveen Patnaik and his party not figuring in Prime Minister Narendra Modi’s scathing speech against the Odisha government, the Congress Tuesday said the “secret ties” in the BJP and the BJD had been exposed. Spokesperson of the ruling Biju Janata Dal (BJD) P K Deb, however, denied the Odisha Pradesh Congress Committee’s (OPCC) allegation, saying the party had all along “maintained equidistance from both the BJP and the Congress”. PM Modi, on his visit to Odisha on Monday, referred a political rally in Khurda where he slammed the state government without mentioning the chief minister or the BJD directly. OPCC president Niranjan Patnaik launched a scathing attack on PM Modi and Naveen Patnaik, accusing both of adopting an anti-farmer attitude and trying to fool the people by making fake promises ahead of the 2019 Lok Sabha election. “Modi’s recent visit to Odisha has made it clear that the BJP and the BJD have an anti-farmer stance and they share secret ties,” he said reporters here. The prime minister had inaugurated a slew of projects and had released a stamp and a coin to commemorate the Paika Rebellion of 1817 in his day-long visit to the state. “Modiji had taken the name of Lord Jagannath various times during his speech which is not acceptable,” the OPCC president said adding “using the name of the lord for votes will not yield results”. “They (Modi and Naveen Patnaik) are simply trying to fool the people of Odisha… Both PM and CM have betrayed the people,” he added. Refuting the charges, Mr. Deb said both the Bharatiya Janata Party (BJP) and the Congress make same allegations against the BJD. “While Congress says that we are with BJP, the saffron party leaders also make similar charges. In fact, BJD maintains equal distance from both the national parties,” Mr. Deb said. The BJP too denied the allegations made by the Congress with Union Minister Dharmendra Pradhan stressing that PM Modi was “polite, but critical”. “The prime minister’s words were polite but critical. The PM raised chit fund, PC (percentage commission), inefficiencies, poor nutrition, and sanitation issues,” the minister said. The BJP, he said, will launch a campaign from Wednesday across the state demanding the state government on different issues.